“I know the back of her head better than the front,” Bo (Lorraine Toussaint) says of her daughter. It’s stated wryly but with undeniable warmth, over brief flashes of a lovely memory: a child running headlong through a swaying field of grass, her great joy conveyed in a glimpse over her shoulder. Of the several stories we’re about to be told, it’s the one that begins in that field—the story of a girl whose delighted gallop eventually transforms into a years-long, fearful sprint of escape—that’s the most compelling. 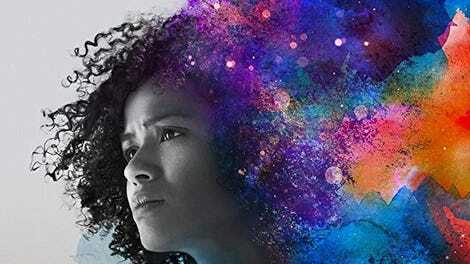 Directed by Julia Hart (Miss Stevens), from a script she cowrote with husband Jordan Horowitz, Fast Color doesn’t lack for ambition: It’s part superhero origin story, part multigenerational family drama, part near-future dystopian fable. Nor does the film feel the need to skywrite its themes, content instead to let its audience dwell on moments like that dash through the field and draw from them what resonance they will. Hart’s aims exceed her reach a little, yes. But trying to tackle too many themes and ideas isn’t the worst flaw. That last piece is key to Fast Color’s success. Hart and Horowitz wind up tangling several of the threads of this multi-layered story, but the one tied to the family’s supernatural abilities remains taut throughout. That’s due in no small part to Hart’s ability to convincingly tell her tale much more economically than some of the other superhero pictures opening this month. She saves her small effects budget for crucial moments, like Bo taking a drag off a cigarette, breaking it down into dust, and then breathing it back together; or Lila doing the same to a bowl and a broken window. Both tell Ruth that afterward, they can “see the colors,” and the film’s climax arrives precisely when the audience can too. It’s an enrapturing sequence, and a great example of a filmmaker saving her big spectacle for the exact right moment. Had that judicious restraint been applied elsewhere, Fast Color’s storytelling might be equal to its filmmaking. There are a lot of moving pieces here, from Ruth’s trauma to her complicated relationship with her mother and her abilities to the rules that govern both the family’s supernatural powers and a world in crisis. And the movie digs into the thematic underpinnings of a story about a woman whose gifts nearly destroy the thing most precious to her, and about the ways in which fear, anger, resentment, and strength can be inherited. It’s a lot. And while it never neglects its various individual elements, Hart and Horowitz’s screenplay hasn’t the room to really explore many of them, either. 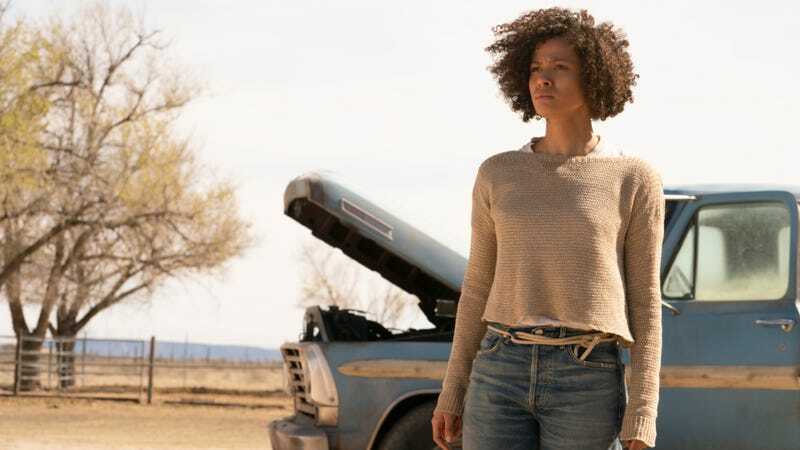 Like many superhero origin stories, Fast Color spends a lot of time checking boxes: dystopian landscape, family history, reason to fight, development of powers, etc. But as the film goes on, that to-do list grows ever longer. In its eagerness to tell all of Ruth’s story, it underserves most of it. But Mbatha-Raw’s spare, vulnerable performance ensures that the character’s personal journey captivatingly comes together. By the end, she’s passed along to the viewer the same sensation Ruth might feel in her final, climactic run: the thrill and unforgettable beauty of inestimable potential, plus the sheer, giddy enjoyment of what’s to come.